There is a significant transformation under way in the treatment of breast cancer as research advances and new laboratory techniques continue to shrink the so-called "undruggable genome," according to a keynote address by José Baselga, MD, PhD, at the 2017 Lynn Sage Breast Cancer Symposium. Targeting specific characteristics of the tumor started in breast cancer with HER2 using trastuzumab and for the estrogen receptor (ER) using hormonal therapy. Over the years, these approaches have undergone transformations and improvements, with the addition of pertuzumab to trastuzumab and earlier use in the neoadjuvant/adjuvant space. Moreover, new targeted therapies have been added, including lapatinib and neratinib. For the longest time, treating breast cancer focused on optimizing HER2 or ER treatments; however, that is soon to change. To emphasize this point, Baselga showed a chart of 20 genes with clinical evidence supporting them as targets for drug development in 2017. Topping the list were BRAF, AKT, ERBB2, and PIK3CA. Several basket and umbrella trials a beginning to address the long tail of potential driver mutations for patients with cancer, he said. Basket studies are typically characterized by a limited number of qualifying genomic alterations with one uniform therapy whereas an umbrella, or master/molecular allocation study, allows for several drugs and genes. Typically, both are cancer type agnostic, although there are examples that are specific to types of cancer, such as iSPY or BATTLE. In most cases, the use of next-generation sequencing has driven accrual in these studies, he noted. "At MSK we have about 25 clinical trials in which we are targeting the genome, specifically in different tumor types in breast cancer. We call these trials “basket trials” and we are beginning to see some interesting clinical results," said Baselga. "We have a program in which we are monitoring DNA in plasma over time. We are beginning to make decisions based on the emergence of specific clones that we can detect." To show the success of basket trials, Baselga presented proof-of-principle findings across a variety of explored targets. In the first, which was published in 2015 in the New England Journal of Medicine, the BRAF inhibitor vemurafenib showed promise for those with lung cancer and histiocytic disorders. These findings altered the way the FDA views basket studies. With the agency now accepting them for potential approval, he said. In further examples, Baselga showed findings for AZD5363 in AKT1 mutations. In those with breast cancer, there was a marked reduction in tumor size and promising findings for progression-free survival (PFS). In another example, neratinib was tested for those with ERBB2 mutations in the SUMMIT study. This trial also showed promise, particularly when neratinib was combined with fulvestrant. "In about 40% of breast cancers, we will be able to identify potential targets. We will not treat them with single therapy, we will most likely need to use combinations," said Baselga. "There are some of these genes that are mutant quite frequently." To show the potential for a combination approach, Baselga discussed findings for targeting PIK3CA, specifically with the oral PI3K inhibitor taselisib. "In the case of ER-positive breast cancer, PI3-kinase mutations are present in 43% of cases," he said. When targeting PI3K, ER function is augmented, noted Baselga, warranting a combination approach. It was theorized that adding a selective estrogen receptor degrader (SERD) could prevent ER transcriptional activity, he noted. When combined with the SERD fulvestrant, taselisib showed promising signs of activity, specifically in those with PIK3CA mutations, where the objective response rate (ORR) was 33%. Whether it needs to be a SERD combined with PI3K inhibition remains unclear, however, as impressive findings were seen with taselisib combined with the aromatase inhibitor letrozole in the phase II neoadjuvant LORELEI study. Across all patients, the ORR was 50% with the combination versus 39.3% with letrozole alone. In those with PIK3CA alterations, the ORR was 56.2% with the taselisib combination and 38% with letrozole alone. The phase III Sandpiper study is currently exploring fulvestrant with or without taselisib in those with or without PIK3CA mutations, with a goal of uncovering a 41% reduction in the risk of progression or death in those with the mutation. The trial is enrolling postmenopausal women with ER+/HER- locally advanced or metastatic breast cancer (NCT02340221). "We will have more details of these other phase III studies in the metastatic setting by the first quarter of next year. 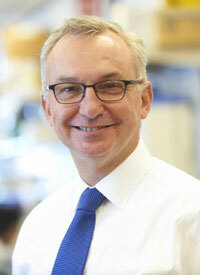 If those studies are positive, then we will need to check PI3-kinase mutations on every patient," said Baselga. "Ultimately, I think we are building evidence that genomic information is actionable and that will have a deep influence in the way we look at breast cancer."